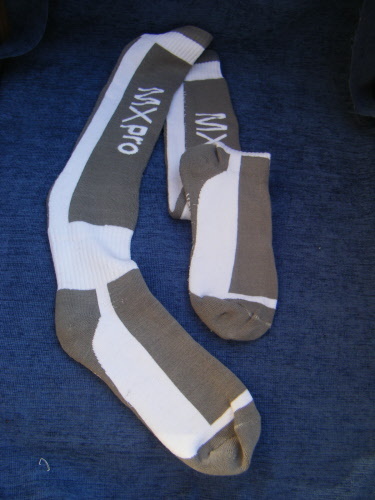 Ultra comfort knee length socks, specifically designed for use with motorcycle boot wear. Loop knit for comfort, maximum cushioning and support and fitted ankle to optimise slippage. Adult free size. 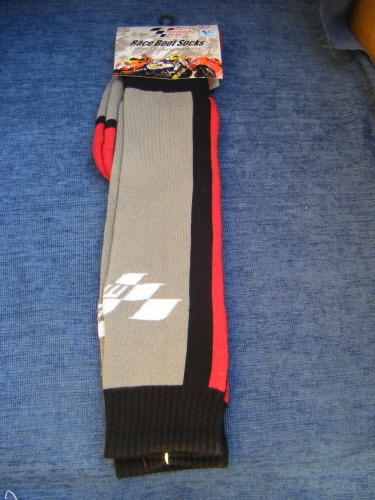 Grey, with red and black trim, these Ultra comfort knee length socks, specifically designed for use with motorcycle boot wear. Loop knit for comfort, maximum cushioning and support and fitted anckle to optimise slippage. Adult free size. Black, with red detail, these thermal winter socks are Ultra comfort knee length socks, specifically designed for use with motorcycle boot wear. Loop knit for comfort, maximum cushioning and support and fitted ankle to optimise slippage. Adult free size. 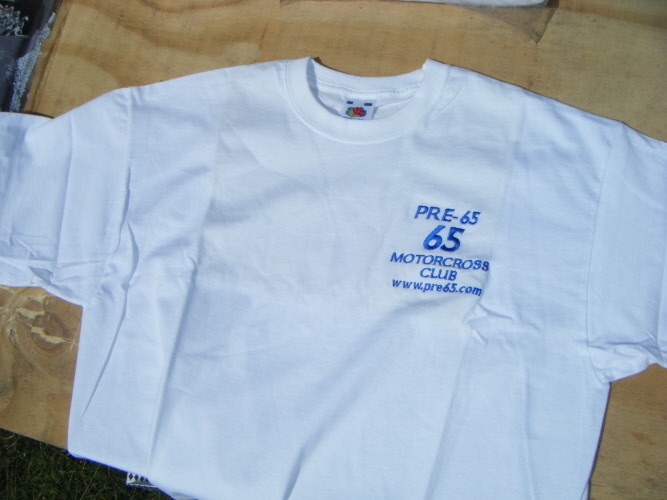 White Fruit of the loom t-shirts embroidered in blue with the Pre 65 Logo. Only 2 x Large left. Once they have gone, they have gone! Wulf sport Max Classic race pants Have a zip fastener with a flap over on the fly, and an adjustable belt type fastener. With 3 rubber patches down each side of the leg, 1 on the front and 1 on the back. They have stretch panels down the sides of the upper leg and at the back of the lower leg and a stretch panel across the back. 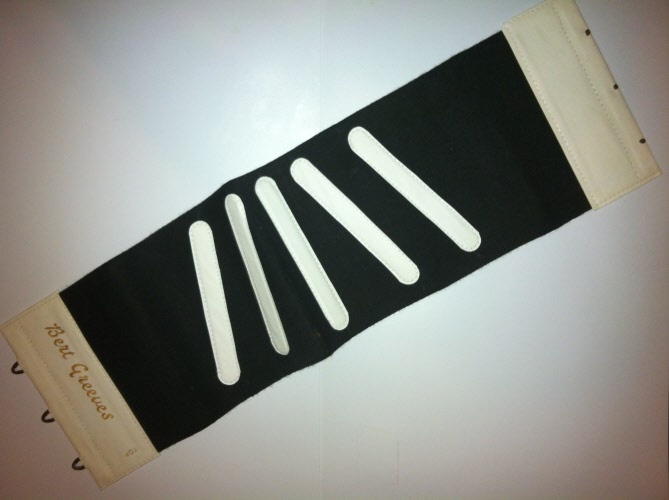 The stretch panels are to ensure a comfortable fit. 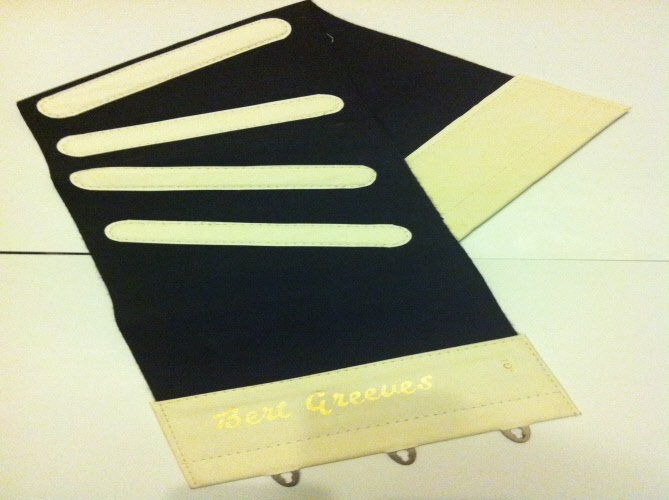 Genuine Bert Greeves Body Belts. Original New Old stock. Pick your size from the list above. Once these are gone, there will be no more.